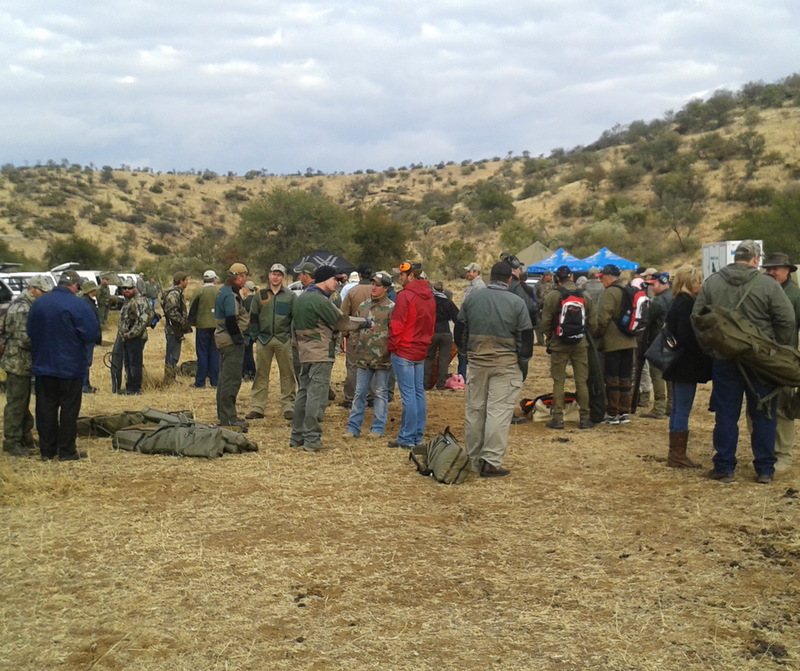 The next Hunting Rifle Shooting World Championships take place during 15-21 July 2018 in Bloemfontein, South Africa. This discipline is the ultimate challenge for the competitive hunter: it tests the hunter’s abilities to judge distance as well as understanding ballistics, reading the wind and shooting from various positions while under a time limit. 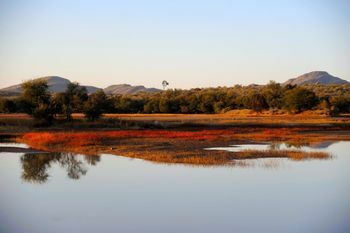 The ranges are designed to simulate field hunting conditions very closely, so the hunting skills play a big part and not only the accuracy of the rifle. One of the competitors at the World Championships will be Lapua sponsored shooter Peder Mørch Pedersen from Denmark. In this article, Peder gives us insight to his life, his shooting sports background and his preparations for the championships. Most of my life, I have been living in Jutland, the largest Island in Denmark. In my family, shooting and hunting has always been a natural part of life, so both things are in my blood and have been more or less since I was born. After time as a soldier, I didn’t shoot competitively for many years. In 2012, I found the desire and the time for it again. I won several competitions in that first year and became a sponsored Lapua shooter. I have since participated in 76 competitions with almost 14000 participants and been on the podium 45 times. I have met a lot of exciting challenges and inspiring people, for which I am very grateful. In my opinion, hunting as well as competing is not only about success or winning, it’s a journey through preparation and understanding… and success is the result! 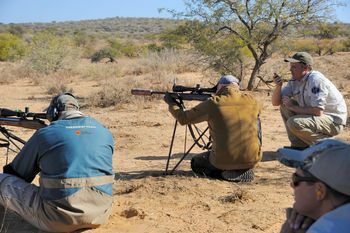 I like most types of hunting as well as many shooting disciplines – whether it’s breaking clay pigeons with a 6.5 bullet at 600 m/ 660 yds, or waiting several seconds for the sweet sound from the metal target being hit by the powerful .338 Lapua Magnum at 1200 m/ 1300 yds. One of my favorite disciplines is field target shooting with hunting rifles. It’s very popular in Scandinavia with more than 700 participants in some of the biggest events. 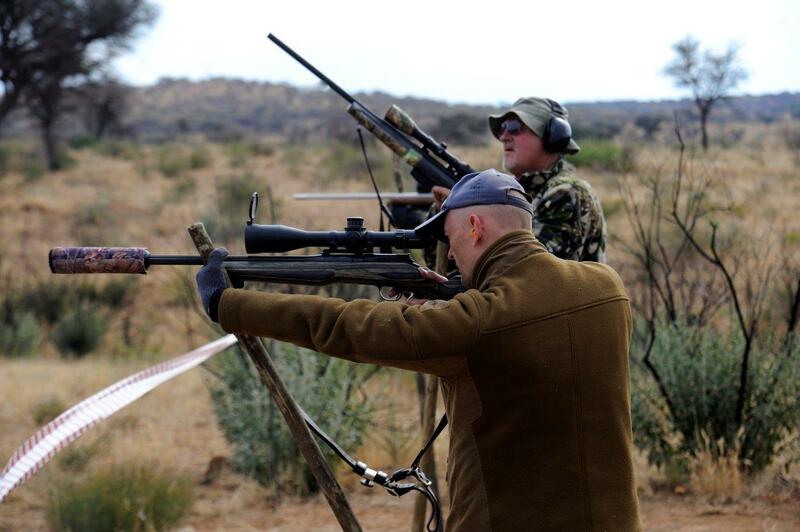 The shooters use hunting rifles to shoot at paper targets of animals, both static as well as flipping and running targets. These targets can be combined with clay pigeons or steel targets. 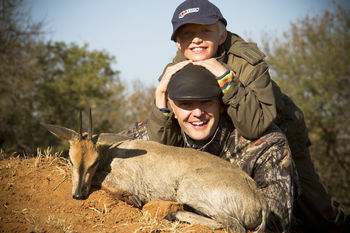 It’s close to real hunting, and just like the big variations we experience in hunting, there are big differences between the shootings – it will never be “just another day in the office”. These days, I shoot a little less myself. Instead, I spend time helping other shooters and hunters to get better, pushing their limits. Many people experience shooting as complex – a fundamental principle for me is simplification. 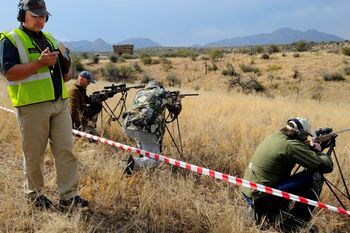 As with the former World Championships, the shooting ranges in Bloemfontein will be in unknown terrain and targets at unknown distances up to 400 m/yds. This calls for ammunition with extraordinary performance, and I chose the 6.5×47 Lapua for the task. The 30° shoulder angle combined with small primers should produce good velocities compared to the 6.5 Swede which I used last time in the World Championships. Next, I decided to use 6.5 g/100 grs or 7 g/108 grs Scenar bullets and try different types of Vihtavuori powder. Normally, I use Lapua’s 120 grain Scenar-L factory ammunition that gives 5-7 mm groups of 100 m/yds (0.15-0.25 MOA) in my Blaser R8 rifle. But in this case I’m willing to sacrifice precision to achieve flatter trajectory. The best accuracy with 6.5 mm bullets can normally be found with a muzzle velocity around 850 m/s (2790 fps). The 7 gram bullets were pushed up to V0 976 m/s (3200 fps) with the N540 powder, but I believe I’m going to stick to a V0 955 m/s (3120 fps) N150 load because of the better precision. In this case, my 6.5×47 Lapua has a 0-400 meter trajectory quite similar to a factory 6XC load. We’ll see how far it takes me in the competition!